If you’re new to Uber, sign up to be an Uber driver-partner on the Uber app. If you're already an Uber driver-partner, just download the Fair app. Reserve a car for $185/week* plus taxes and a $185 refundable security deposit***. When you pick it up, you can choose from a variety of makes and models. Complete 70 trips in a week, earn $185 in rewards from Uber. That can cover your weekly car payment to Fair. If you complete 120 trips, get a $305 reward**. "I just look at my phone and I have everything to take care of this car and take care of me." "The Fair app is just so easy." "Fair made getting a car very easy. Having everything included into one price to pay each week is definitely a big help." "My experience with Fair was excellent." "Honestly this has been my best car experience ever." *Tax not included. Only available in California. To get a car with this offer, must be 21+ in age and been approved to drive with Uber. **Special Uber offer applies to driver partners using Fair cars priced at $185/week (plus tax). Complete 70 trips with Uber each week to receive a $185 reward each week from Uber in your driver account. Complete 120 trips with Uber each week to receive a $305 reward from Uber for the week. Rewards cannot be combined and you are eligible only for the maximum reward offered based on the total number of trips you complete. Payout from Uber will be reflected in your earnings statement on Thursdays. Canceled trips do not count toward the trip threshold. Trip requirements and the promotion payment are prorated based on when your Fair agreement begins. Starting the Monday following the date your rental agreement begins, you will receive the full week incentive. Uber reserves the right to withhold payment in the event of suspected fraud or abuse. Uber driver partners are still responsible to make weekly car payments to Fair. Drivers in Fair vehicles qualify for trip surge areas, but except as specified above may not qualify to participate in other promotional offers such as Boost Consecutive Trips, or Quest promotions. Offer subject to change or withdrawal at any time. For details click here. Note rewards amounts do not cover taxes. Uber is not responsible for the products or services offered by other companies, including Fair, or for the terms and conditions (including financial terms) under which those products and services are offered. ***To get a Fair Vehicle, your only required payment is a $185 refundable security deposit plus the first weekly payment of $185 (plus tax). You can return the Fair Vehicle by the end of the 7- day period if you do not want to extend your use. If you do not return the car by the end of the 7- day period, it will auto-renew for another 7 days and we will charge you upfront the weekly payment of $185 plus tax. The minimum use period is 7 days, including for any renewal, and the weekly payment will not be prorated for returns made before the end of any 7-day period. Get a car with Fair and earn a weekly reward from Uber of $185 when you complete 70 trips in a week and $305 for 120 trips in a week when you drive with Uber. With 70 trips, you can earn the amount of your $185 weekly payment. Please note rewards amounts do not cover taxes. Only available in California. 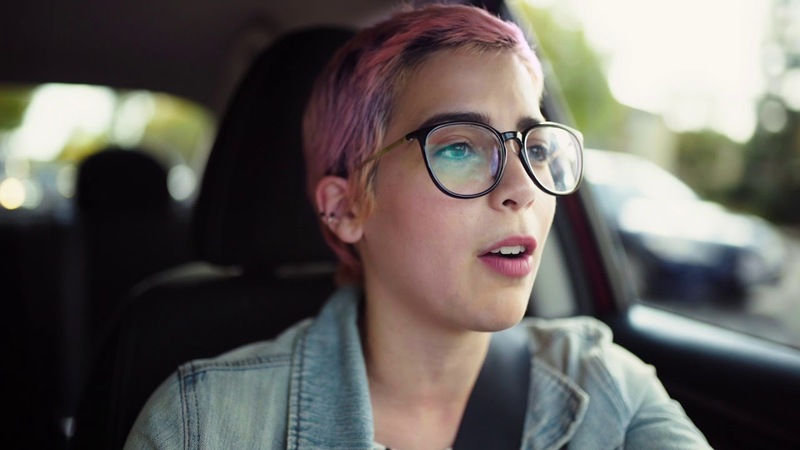 To get a car, must be 21+ in age and been approved to drive with Uber. Special offer applies to Fair cars priced at $185/week (plus tax). Complete 70 trips with Uber each week to receive a $185 credit from Uber in your driver account. Complete 120 trips with Uber each week to receive a $305 credit from Uber for the week. Uber driver partners are still responsible to make weekly car payments to Fair. Offer subject to change or withdrawal at any time. For details click here. You can use the reward provided by Uber to help you offset the weekly cost of your Fair car. The $185 and $305 rewards are limited only to those drivers with Fair vehicles who are driving with Uber. Please note the $185 and $305 rewards are provided by Uber and Fair is not responsible for the payment of Uber incentives or for the terms and conditions under which those incentives are offered. You must have all licenses, permits and other governmental or other approvals required to drive on the Uber platform. See Uber Terms and Conditions below for details. Rewards are paid by Uber, and payouts will appear on your weekly pay statements. With participation in this reward program, you will no longer be eligible for Boost and Quest. On any given week during this rewards period, you are only eligible for the maximum reward offered in your city based on the number of trips you complete. Canceled trips don’t count towards your completed trips. Trip requirements and the rewards payment is prorated based on when your Fair agreement begins. Starting the Monday following the date after your Fair agreement begins, you’ll receive the full week reward as long as you meet the trip requirements. Uber reserves the right to withhold payment in the event of suspected fraud or abuse. The terms of this reward are subject to change and may be withdrawn at any time.